Many wonder about the direction of the West as darkness spreads rapidly around the world. Sammy Tippit reaches into history to demonstrate that the great issues facing Western civilization today are basically heart issues. As a first hand observer, he describes the fall of the Berlin Wall and the collapse of communism in the early 1990s as having spiritual roots. A Renewed Heart introduces the reader to the unknown heroes of the Revolution in Romania and the fall of the Iron Curtain. The battle of that generation was a battle for the heart, mind and soul. Tippit states that we’re facing a different kind of darkness today with ISIS and Al Qaeda, but it’s also one that will only be defeated by a transformation of the hearts of people in the West. A Renewed Heart will challenge your thinking and stir your soul. 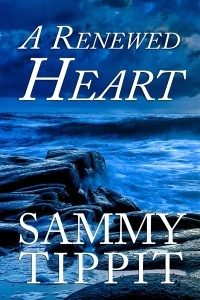 To purchase A Renewed Heart from Sammy Tippit Books, Amazon, Barnes&Noble or Kobo – click HERE!! Click here to sign-up for a free PDF download of chapter 1 of A Renewed Heart and to receive information about other future offerings.